Check out what's new in the Elder Scrolls Online 3.1.5 with Horns of the Reach Game Pack. The ESO 3.1.5 update is now available for download. The Elder Scrolls Online 3.1.5 brings a number of new features including updates to the Master Writ Merchant, new housing furnishings, and numerous quality of life improvements. The update also includes Horns of the Reach DLC Game Pack. The update has added a new Battlegrounds map – Arcane University – and a new game mode for Battlegrounds: Chaosball. The new patch also added several new Medals to support Chaosball. 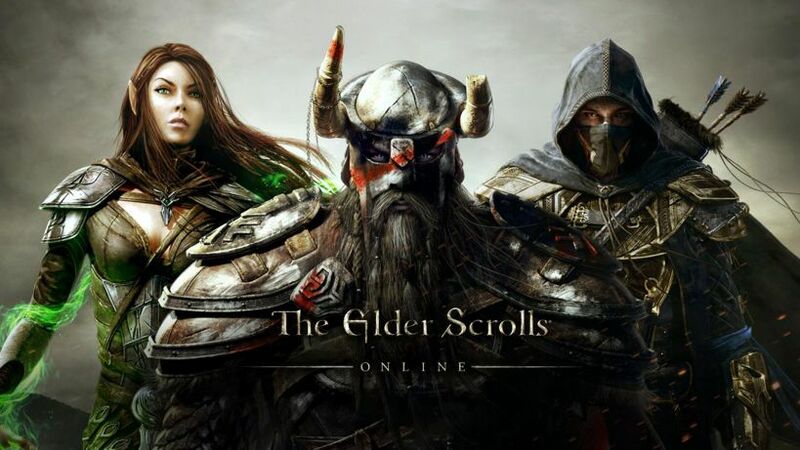 The size of The Elder Scrolls Online 3.1.5 is around 5.8GB. The ESO 3.1.5 update brings two new four-player dungeons, available as part of the Horns of the Reach DLC Game Pack! The Bloodroot Forge had been buried and hidden away for longer than any could remember until the unification of Reachmen and Minotaur facilitated its rediscovery. Now, the fires of the ancient forge burn anew and the power emanating from it is palpable. Only blood and sacrifice to untamed nature can unlock its true potential and the Reachmen are generous in their offerings. You can find the entrance to Bloodroot Forge in southern Craglorn, west of Elinhir. Falkreath is under attack by the combined forces of the fearsome Minotaur Domihaus the Bloody Horned and his Reachman marauder allies. This army of “beastmen” have adopted his visage when launching their attacks to inspire fear and terror, with much success. You must enter Falkreath and defend the hold as enemies pour through its broken walls set on its destruction. Falkreath Hold can be reached by taking the cart in front of the Easter Gate north-east of Elinhir. With the ESO 3.1.5 update, you can acquire unique item sets, including two new Undaunted Monster Mask sets, only available within these dungeons. The ESO 3.1.5 update has added several new collectibles that you can obtain through the Horns of the Reach DLC Game Pack. With The Elder Scrolls Online 3.1.5, the Bloodroot Wine dye is unlocked by completing the Horns of the Reach Delver achievement. With the ESO 3.1.5 update, a new game mode is being introduced to the Battlegrounds grab bag with Chaosball added into the rotation for all maps! This mode introduces a single “ball” in the game, and your team earns points by holding the ball. There are no other requirements for scoring other than holding onto the ball as long as you can. Holding the ball comes at a cost as the Chaosball has a stacking healing and shield debuff, as well as pulsing Oblivion damage to all allies in the area, including the ball carrier. There are no Sigils of Power in this game mode. The game ends when a team has scored 500 points or the match hits the 15-minute mark. Arcane University is now available as a Battleground Map! All game modes, including the new Chaosball, are active in this new zone. You do not need to own the Imperial City DLC Game Pack to play in Arcane University, but you do need to own ESO: Morrowind to play in this map. Access to Arcane University functions identically to all other Battlegrounds by utilizing the Party system through the Grouping Tool. With The ESO 3.1.5 update, new Battleground Medals have been added to support Chaosball. You earn a medal for each tick of scoring while holding the Chaosball, and can earn additional medals for holding the ball for at least 30, 60 or 90 seconds. The time-based Medals are awarded when the ball is dropped or the match ends. Healing medals have been adjusted to trigger off lower values across all game modes. This should result in more medals being earned for support play. The ESO 3.1.5 update has added a number of updates to the base game affecting guilds, researching, and even the types of items you can bank! This also includes various updates to UI screens relating to crafting, gameplay, and general itemization. Guild Invites and Guild Invite Acceptances in the Guild History now include the account name of who extended the invitation. The ESO 3.1.5 update has added a setting – Combat Cues – in the Gameplay menu that will allow you to control the color and brightness of Friendly and Hostile combat cues. Enjoy! Damage over time abilities will now display the number of hits you received from that ability next to the ability icon in the Death Recap UI. Crown Store categories that have new items in them will have a new indicator next to them. Reporting a player will now also ignore them when the ticket is submitted. Hakkvild’s High Hall: Hakkvild, former Jarl of Falkreath who freed the hold from the hands of Yashnag’s Orcs, built himself this spacious hall on the heights above the town, with convenient access to the crypts of his ancestors. And now it can be yours! This home neighboring the Falkreath Hold dungeon shares a similar style and includes both subterranean and above ground furnishing areas. This home requires you to complete achievements tied to Horns of the Reach in order to purchase it with gold but is also available for crowns in furnished and unfurnished variants. A number of new recipes and furnishings have been added to the game obtainable by participating in various activities throughout the world. These include but are not limited to harvesting certain types of nodes, participating in Justice activities, and defeating enemies in the new Horns of the Reach dungeons, Coldharbour, and Ayleid Ruins. Check out the Elder Scrolls Online 3.1.5 full patch note here.